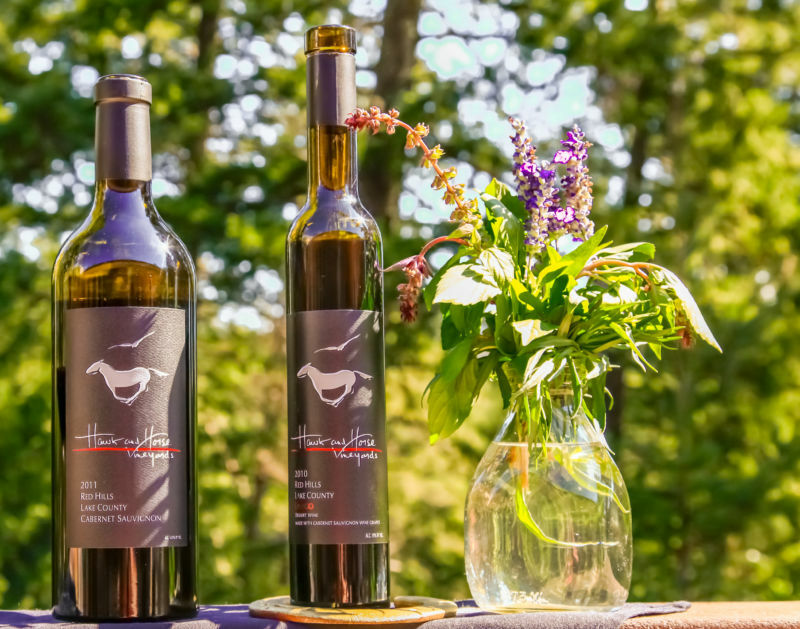 We were recently invited to taste wines from Hawk and Horse Vineyards. The vineyard is located in Lake County, but our invitation was to the winemaker’s home in Napa Valley. 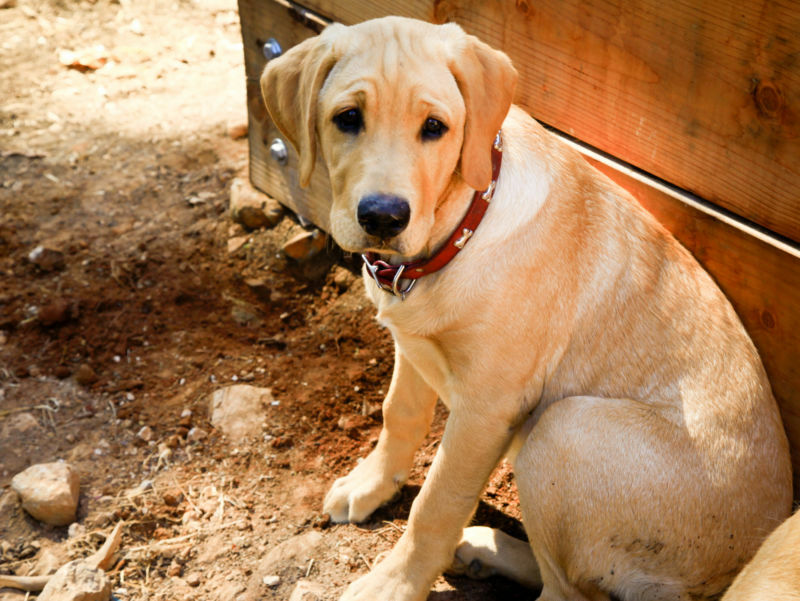 Their house is several miles up Howell Mountain in a beautiful forested location. Our hosts were Mitch and Tracey Hawkins; Tracey is the executive winemaker. California Girl Comments: Mitch and Tracey were so warm and friendly we soon felt like old friends. I really enjoyed our time with these lovely people. They gave us an opportunity to taste three of their wines. The 2013 Sua Sponte was the first one we tried. It had been bottled on the previous week. California Girl and I were the first people outside of the winery to try this new blend. 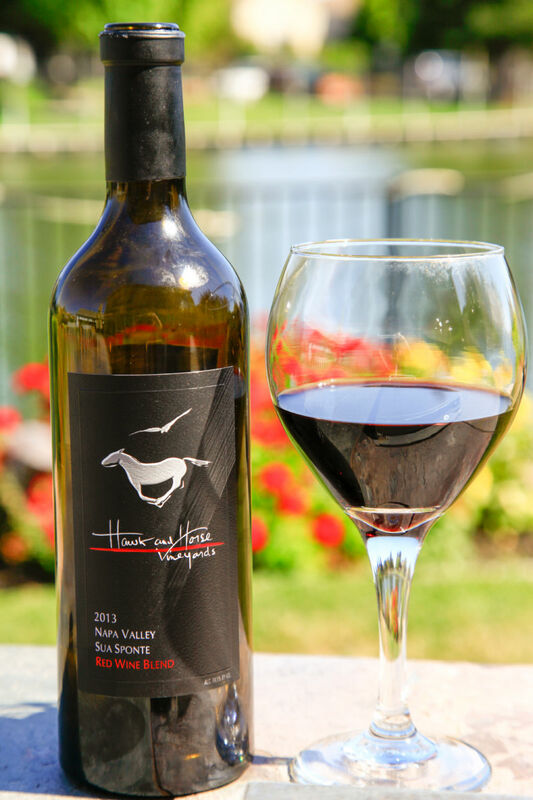 Most of Hawk and Horse’s products are estate wines. 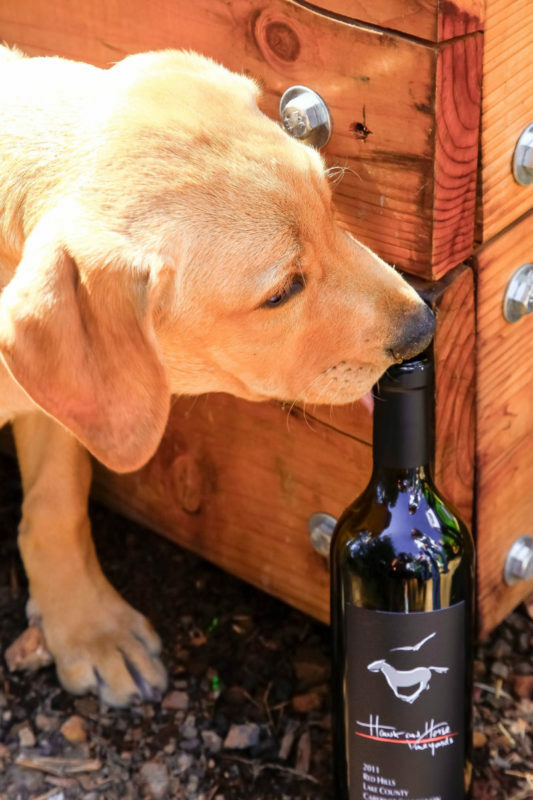 (Wines made from grapes grown entirely on their property) This wine was made mainly from grapes from vineyards in the Pritchard Hill area of Napa Valley. It is a mix of Petit Verdot, Cab Franc, Merlot, and Cabernet Sauvignon. The last element, contributing just 3% of the wine, is the only one from their own vineyard. Sua Sponte is a Latin phrase, which according to Cornell Law, means “of one’s own accord; voluntarily.” It is a legal term and was chosen by Tracey to reflect her step-father and co-owners profession. She described him as a lawyer; a description as accurate and understated as Jade Jagger saying that her father was a musician. He is David Boies, who represented Al Gore in 2000 in Bush v Gore and has had a career that makes him one of the country’s most high-profile lawyers. The colour was a dark reddish-brown. Its nose offered a mix of berries, with raspberry prominent. There was medium plus acidity. On the palate, the wine offers a rich complexity including plum, cloves, and black tea. The wine sells for $140 a bottle. California Girl Comments: The verdict is in: It’s a total winner! 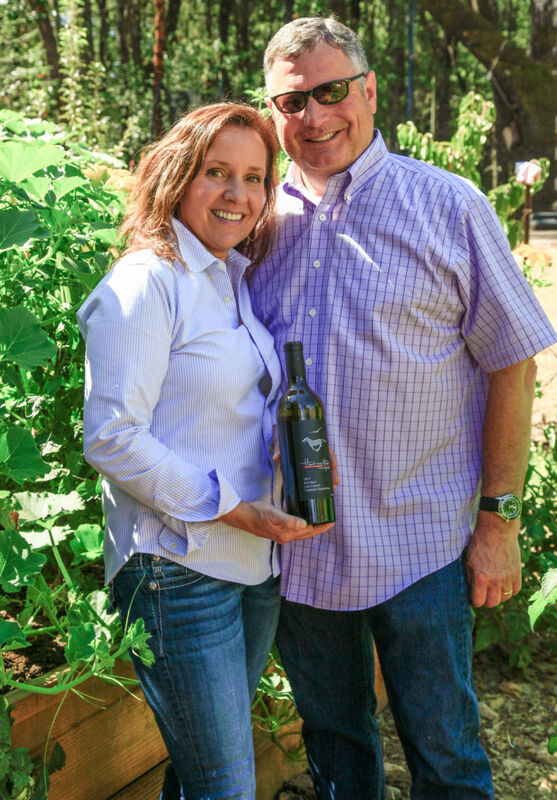 The other two wines were made with Cabernet Sauvignon from their vineyard which sits at an elevation of 2200 feet. The vineyard is farmed using the principles of Biodynamic agriculture; a process explained on Hawk and Horse’s website. They make between 2200 and 2500 cases of wine a year. The 2011 Cabernet Sauvignon sells for $70. It has a small amount of Petit Verdot added. The nose offered a mix of plum and raspberry. In the mouth the medium to heavy acidity was balanced well by the distinct tannin and a rich mouthful of dark berry fruit. Apparently the weather that impacted Napa red wine in 2011 did not have the same effect in Lake County; this was a splendid wine, drinkable now, but bearing the promise of improving over the course of the next few years. Even the winery puppy “Gus” approves and wants some! California Girl Comments: I really enjoyed this sip. The elegance of the flavor would make it easy pairing with pretty much any meat dish. Unlike some Cabernet Sauvignon, I could imagine myself just sitting back and savoring the flavors without food at all. Before becoming a winemaker, Tracey worked in the wine industry and studied wine-making at U.C. Davis. In that time she developed a deep understanding of how wine is made. Throughout our tasting her enthusiasm for the wine was evident. She described her style of wine as “Old World”; reflected in the balanced acidity and subtle fruit flavours; the Cabernet having a nuance that is oft lacking from the flagship Napa Cabs. She explained that the vineyard’s high elevation and temperature variations led to rich flavours from the fruit. I think that Tracey is another example of despite the importance of location in the creation of wine, the enthusiasm and personality of the winemaker is just as critical. The third and final wine that we tasted was their 2010 Latigo. The Latigo is a fortfied dessert wine. They use two-year old high-proof alambic brandy to fortify the wine. It is added before fermentation of the wine is complete, ending the process of converting sugar to alcohol. The result is a sweet wine that is 19% alcohol by volume. On the nose this wine offered chocolate and smoke with a whiff of alcohol. The sweetness does not overwhelm the fruit; which is a wonderful mix of over-ripe plums, spices, and forest fruits. I have tried several Californian Port style wines where the sweetness mutes the fruit, so I was very impressed with this wine. 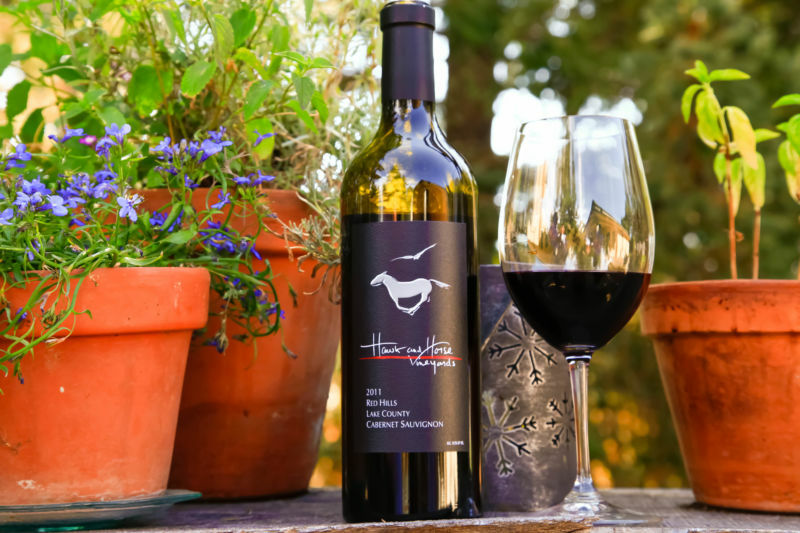 One thing to note is that Hawk and Horse use Cabernet Sauvignon grapes instead of the Zinfandel which is more commonly used to create red dessert wines in California. We tasted the wine paired with Cowgirl Mount Tam cheese, which provided a wonderful savory contrast. The next mouthful was accompanied by dark chocolate. California Girl Comments: Typically I don’t drink ports or dessert style wine. Occasionally I will use them to make desserts and give them that extra bit of X factor that brings them over the top.The minute this wine hit my lips, I was imagining all the ways I would use it. Delicious! 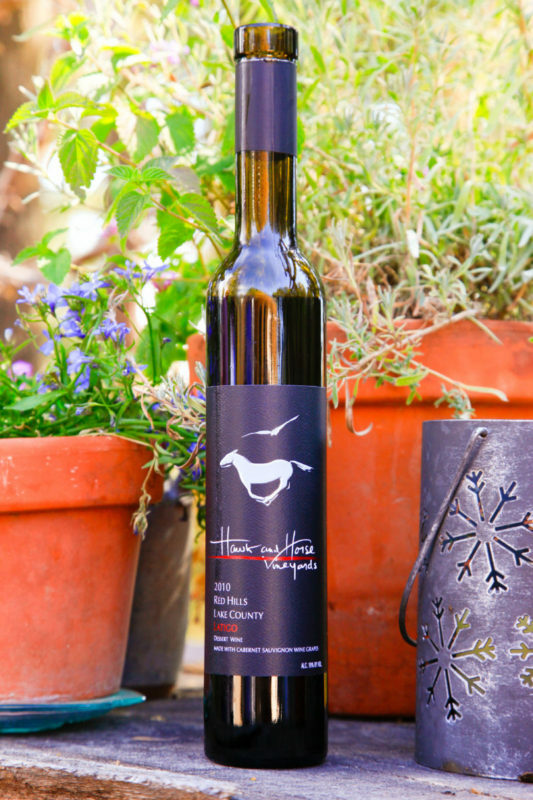 Hawk and Horse wines are available from the website, the winery, the wine club, and at various restaurants and steakhouses. If you see their wines on a menu, they are well worth trying; the Cabernet will pair well with steak, but it is sufficiently subtle that it would work with pork and lamb. After tasting, California Girl took the bottles into the garden and shot the photographs that you see. Whilst she was hard at work, I was picking and eating cherry tomatoes off the vines in Mitch and Tracey’s garden. They very kindly gave us a bag of these tomatoes, fresh basil, and a couple of bottles from which we had tasted. 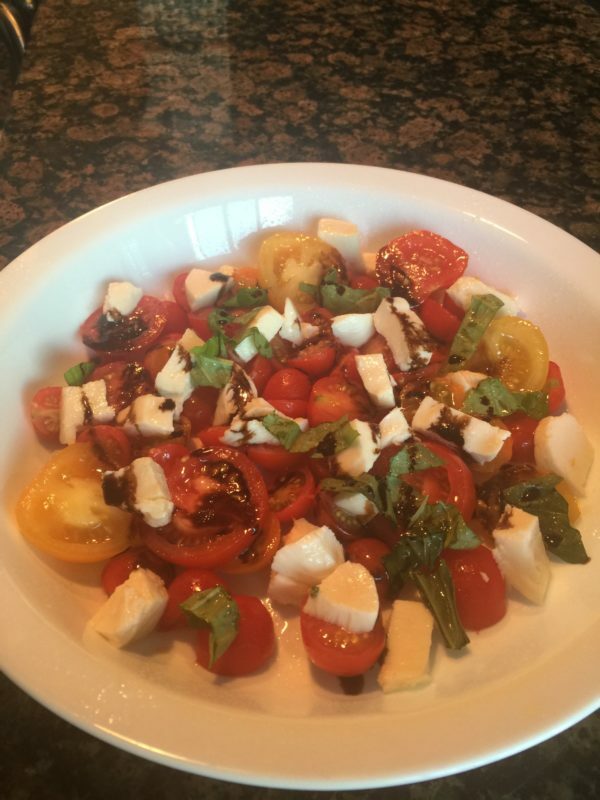 That evening California Girl made a caprese salad from the tomatoes, basil, and mozzarella, she served it with pork loin and the Sua Sponte; a great end to a very fine day.